According to the National Survey of Drug Use and Health (NSDUH), 2.1 million people start using marijuana every year. And, even though marijuana is seen as relatively harmless by many people, it can (and does) cause many problems. It is important for someone suffering from marijuana abuse to get help quitting, as it can have an effect later in life. It is also important to realize that the potency of marijuana has increased over the last two decades, and that makes the effects more pronounced. There are some warning signs of marijuana substance abuse. In general, you will best be able to identify the effects of marijuana right after he or she finishes smoking. It is also important to watch for other signs that may indicate marijuana use in your friends, loved ones or children. Be aware that 18 to 25 is the age group in which marijuana use is most common. Marijuana is usually smoked, most commonly in cigarettes homemade with rolling papers. Bongs and pipes can also be used. Some brew their marijuana in tea, and others bake their marijuana in baked items, like cookies or brownies. Bloodshot eyes. This is one of the most well known signs of marijuana use. The smoke can irritate the eyes, giving them a bloodshot appearance. Additionally, other factors (like loss of sleep due to substance abuse problem) can contribute to bloodshot eyes. Dilated pupils. These are pupils that are abnormally large. Marijuana use can cause pupils to dilate dramatically. Smell. One of the most telling signs of marijuana substance abuse is an accompanying smell. It is possible to smell marijuana smoke on the clothes and hair of a user. Additionally, personal areas, such as a room or a car, may have the smell of marijuana smoke. Marijuana paraphernalia. Merchandise and objects connected with marijuana use can be a warning sign of marijuana substance abuse. Seeds from marijuana plants (in some case the plant or a cutting) can be telling. Materials for making homemade joints, especially cigarette papers, can be indicative. Pipes and bongs, including those that are homemade, are also warning signs of marijuana use. For homemade items, you might notice that there is sticky residue. This is a result of the burned marijuana. Appears sleepy. Someone who is under the influence of marijuana use may seem sleepy and really relaxed. Less motivation. Marijuana use tends to remove motivation. Regular use can lead to less interest in work or school. Additionally, someone using marijuana tends to stop trying to make and achieve goals. Short-term memory loss. One of the effects of marijuana use is short-term memory loss. One of the warning signs of marijuana use is that you might notice that your friends and family members using the drug become increasingly forgetful. Signs of respiratory problems. Those who use marijuana regularly often have many of the same problems that smokers have. A persistent cough, as well as other respiratory problems, can indicate marijuana use. 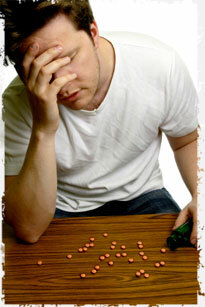 If you recognize the warning signs of marijuana use in someone you know, you should try and get help for him or her. Make sure that you show your concern for the person, and that you express a desire to help.